Extract RNA from human FFPE tumors to support development of novel chemotherapeutic agents. Accurately and thoroughly identify neoplastic cells in submitted tissue samples to recover sufficient RNA. Process a large number of submitted samples with very short lead time. Adhere to extremely tight completion schedule. Repeat macrodissection and RNA extraction for samples with insufficient RNA yield, to meet the client’s needs. Used in-house team of highly trained or board-certified pathologists, skilled molecular biologists and histotechnicians to efficiently complete all phases of the project. 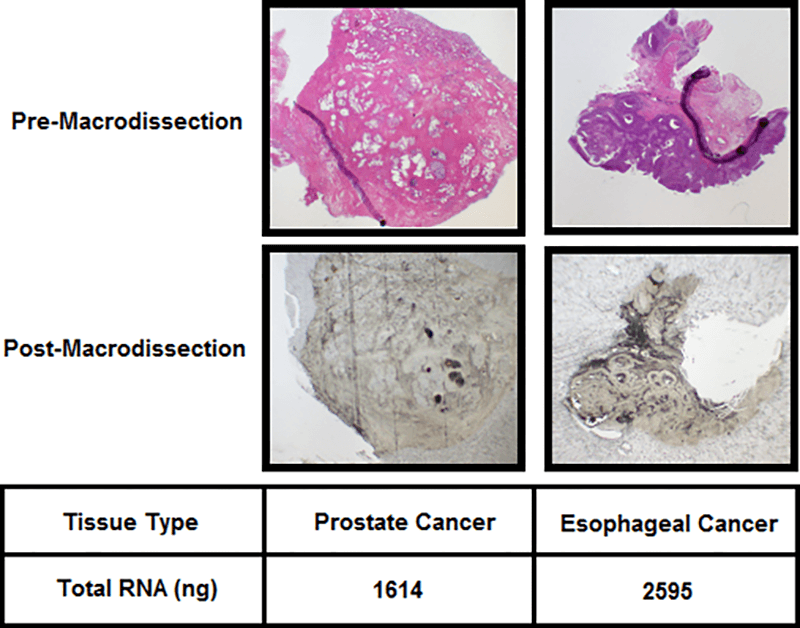 When insufficient tumor RNA was recovered, the paraffin block was re-sectioned, the slides were macrodissected, and RNA extraction was repeated. Cross-trained team members to ensure accurate identification of neoplastic cells in submitted samples, precise macrodissection, consistent recovery of tumor RNA, accurate and uniform documentation of RNA yield, and completion of the project within the timeframe. Client has been consistently pleased with ILS’ ability to support chemotherapeutic development activities; additional clients have requested the same service.